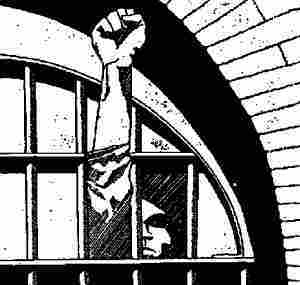 Greece: The following letter in solidarity was written by the Prisoner Struggle Committee in support of D.Koufontinas, who went on hunger strike on Wednesday, May 30th. Two solidarity marches have been announced in Athens so far, one on Wednesday and one on Saturday. Originally published by Athens Indymedia. Translated by Black Cat. In Greece Justice is not only unfair but also vindictive. And when we get to the end of the road, to the point when we can claim the right to furloughs, we are tried again so that DAs acting as ”fortune tellers” predict that the furlough would not be used for a ”good purpose”. Even when we are given the much desirable and lawful furloughs, the authorities would search our records in order to discover previous offenses that would be cited as reasons to deprive us of this right. But the vindictive mania expressed by the authorities has reached its highest point in the case of Dimitris Koufontinas, who, although was legally entitled to furloughs for a long time now, his right was only acknowledged seven years later. After Koufontinas (who is seen as a fighter in the eyes of the people) is tried again and again, journalists and tv programs are now attacking the judges and DAs who approved his lawful furlough. These DAs did not grant him furloughs as a personal favor, but did what they had to do with a seven year delay. They are now under a disciplinary investigation after an order was given from the Supreme Court DA and the unseen centres of power which have the supposed ”independent” justice under their control. As a final act of resistance, D.Koufontinas began a hunger strike in order to be given the right to furloughs he is legally entitled to get. His hunger strike is also in support of the abolition of the prosecutorial veto which concerns all prisoners since this is often a reason we are not granted furloughs. As prisoners of all nationalities and races, regardless of the reason our imprisonment or the correctional facility we are housed in, we stand by Dimitris Koufontinas because his struggle is everyone’s struggle. IMMEDIATE FULFILLMENT OF THE DEMANDS SET BY THE HUNGER STRIKER D.KOUFONTINAS In case anything happens to the hunger striker D. Koufontinas, our response will match this man’s courage.